Fundamentals: The Dollar saw renewed weakness on the session after Congress hit a snag in passing a funding bill to keep the government from shutting down at the end of the week. With this the Euro finished the session near its highs. Price action put in a high early Monday morning before retreating about a penny on comments from an ECB source that they are unlikely to remove their bond-buying pledge at their meeting next week. We discussed in Thursday evening’s FX Rundown and Sunday’s Tradable Events this Week how this and will be key to understand going forward. Regardless, if they remove the exact verbiage this month or in the near future, the market is pricing it in. Tomorrow, Eurozone CPI is due out at 4:00 am CT, US Industrial Production at 8:15, Fed President Evans at 2:00 and Kaplan at 2:15. Technicals: The Technicals are going to be crucial at this stage as the Euro has broken out above previous highs on a multi-month bull flag pattern. We have the next key resistance level coming in at 1.2434 (multiple levels here including the 200-month moving average) and as long as price action continues to close above previous four-star resistance, now support, at 1.2180-1.22135 the path of least resistance will remain higher. On the flip side of the trade is the Dollar Index which will be crucial to watch during this breakout in the Euro. The Dollar Index is at the psychological level of 90 and there is a falling trend line support that aligns roughly here. We remain bullish the Euro because of the Euro chart, however, until the Dollar Index closes below 90, traders should tread with a degree of caution. Fundamentals: The Yen put in another strong session and was able to capitalize on equity markets peeling back from new all-time highs; the S&P lost as much as 1% from the high before stabilizing. Dollar weakness on budget deal hurdles ultimately go the ball rolling today. 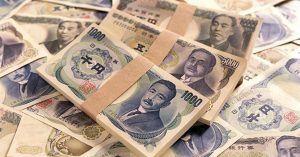 However, this has been a perfect storm for Yen bulls who have been able to capitalize on long-term question marks surrounding the Dollar but also a potential Bank of Japan policy shift. Though the Yen is only a small portion of the Dollar Index, as we stated above, we believe the price action in the Dollar Index at the psychological level of 90 is crucial for the sentiment part of this trade. Machinery Orders data is due out of Japan tonight at 5:50 pm CT.
Technicals: Even on the toughest of closes, we have not wavered from our Bullish bias in the Yen and right now the trade is at a critical inflection point. Not only is the Dollar Index at the aforementioned 90 level with a 14-day RSI of 25 but the Yen is squarely facing major three-star resistance for the first time since failing a month and a half ago. Price action traded to a session high of .9100 but failed to convincingly close out above the .9060-.9092 level. Traders do want to be nimble upon a failure here as it could have quick implications, a retreat back to the .8957-.89685 level. Session close: Settled at .7958, up 48 ticks. Fundamentals: The Aussie has been a key beneficiary of the weaker Dollar and strong commodity prices. Furthermore, strong growth data from China as well as domestically (last week’s Retail Sales) has sent the Aussie about 6% higher in just about a month. Data again comes to the forefront for the Aussie this week and tonight Westpac Consumer Sentiment is due at 5:30 pm CT and Home Loans at 6:30 pm CT. Tomorrow though will take the cake for the week with New Homes Sales and Employment data. Also, Chinese GDP, Fixed Asset Investment, Industrial Production and Retail Sales. Technicals: When the Aussie bottomed mid-December, within that first week we said that this feels like a low that could last through Q1. We are not calling the high in the Aussie by any means, but it sure feels like it has run too far too quick and is overdue for a pullback. The 14-day RSI has barely had a breather to dip back below 70 before this latest push. Ultimately, we are now eyeing a major long-term trend line from 2014 that comes in at let’s call lit the psychological .8000 level. Furthermore, the 200-month moving average comes in at .8037. These are substantial headwinds that should reject the first test. Fundamentals: The Canadian finished higher today as traders ready for a potential interest rate hike from the Bank of Canada at 9:00 am CT tomorrow. Though a hike is widely expected, a path that the BoC set themselves on last summer, the verbiage around this hike will be key. Even if they don’t hike, if they signal the willingness to continue down a path of tightening the Canadian Dollar should hold solid footing. With NAFTA talks lingering, we don’t believe the market is completely pricing in a hike and hence won’t be extremely disappointed if we don’t see one. Technicals: We have completely neutralized our Bias ahead of tomorrow’s BoC. However, we still believe there is tremendous support and a great buy opportunity at the .7926-.7931 if seen. A close out above .8085 will signal the next leg higher. While .8290 brings the September high, we see .8524 in the cards this year.